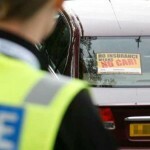 The problem of the uninsured vehicle seems to be solved. Dimitris Zorbas, president of the Auxiliary Fund and Chairman of the SAP Management Committee, is doing a good job. According to sources, the information center that up until now belonged to PISC will be transferred to the Auxiliary Fund. The transfer will enable the Auxiliary Fund to obtain information from the Greek Authorities on all registered vehicles. As such, it will be able to compare the list of the insured cars with that of the registered cars and “identify” all the uninsured vehicles in no time. Hopefully, the project will launch on February 2011.This is a significant and historical effort of the HAGC and certainly will relieve several companies, both by increasing the revenues and by controlling the damage caused by the uninsured.